Now that you have installed your WooCommerce Extension, it is time to make configurations for your store. In order to provide the best customer experience, we recommend that you consider configuring the following pages listed below in a way that will work best for your business. In order to make changes to the features/pages above, be sure to be logged into your Wordpress dashboard and follow the steps. 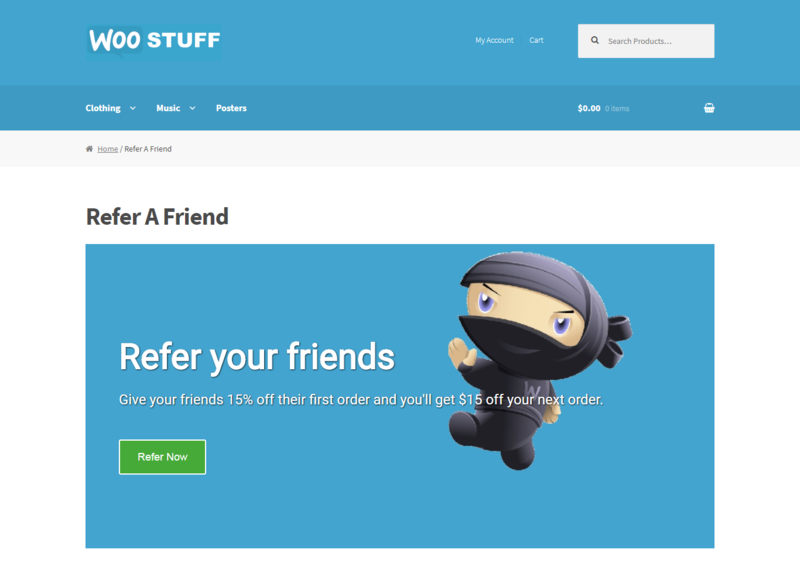 Referral Home Page: this page is where customers can to learn more about your referral program. The page is visible by all visitors at http://www.yourwebsite.com/refer . 2. 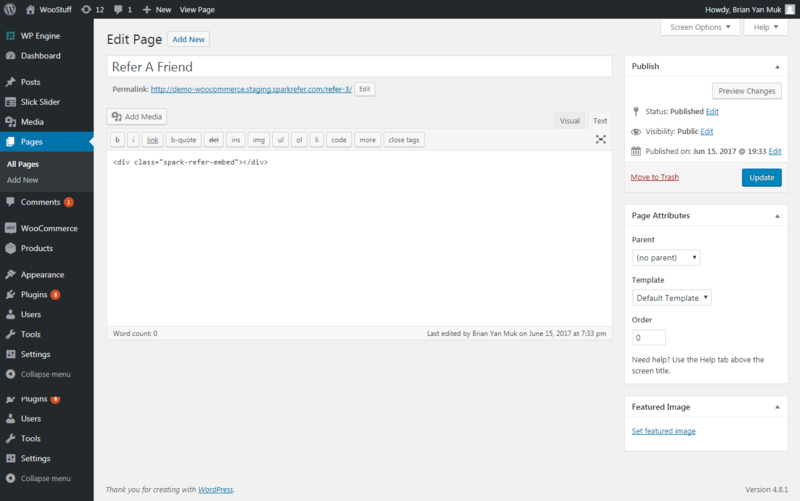 Send Referral Page: this page is where your customers will send referrals and check their referral history. The page visible by customers who are logged in their My Account at http://www.yourstore.com/my-account/my-referrals . B. Scroll to the bottom of the page, and select Save Settings. 3. Checkout Success Message: A message that appears at the bottom of your Checkout Success page to promote your referral program to your customers after successful purchases. B. The content will be visible by all customers after they’ve made a purchase at http://www.yourstore.com/checkout/order-received/[order_number]/?key=wc_order_[order_id]. 4. 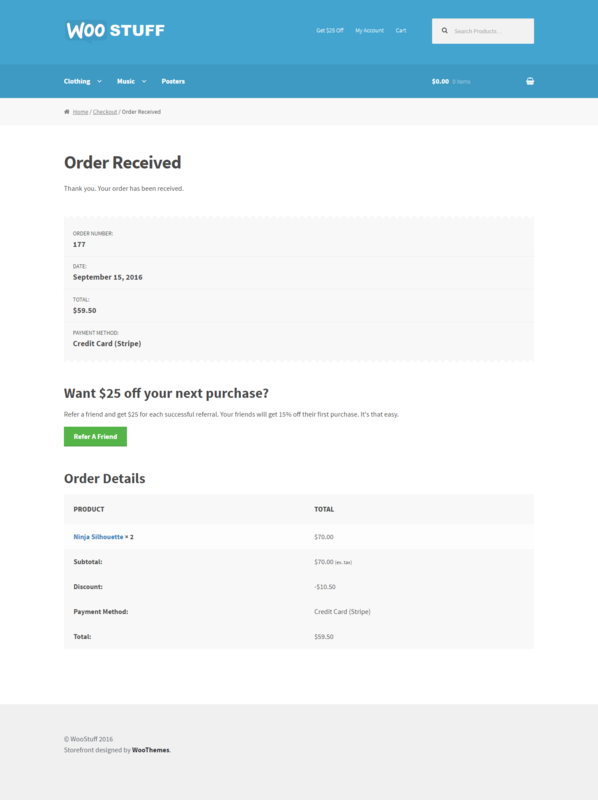 Purchase Required Logic: A toggle that can prevent visitors that haven't made orders on your store to make referrals. We recommend disabling this toggle at launch. A. 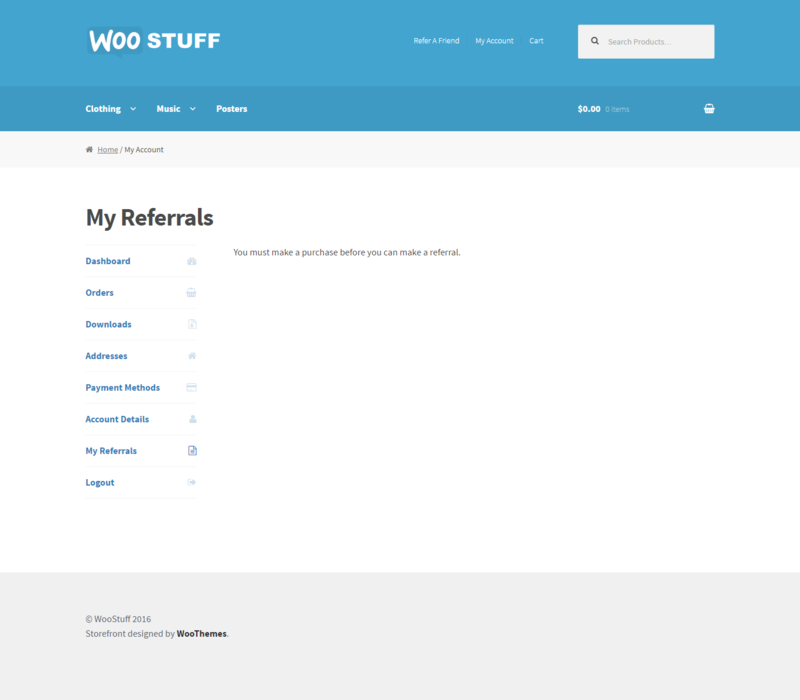 Enable or disable the Purchase Required toggle by going to WooCommerce > Referrals > Require Purchase. Checking this toggle will require your customer to make a successful order on your store before they can send a referral. B. The HTML will be visible by customers who are logged in their My Account but have not made an approved purchase at http://www.yourstore.com/my-account/my-referrals.